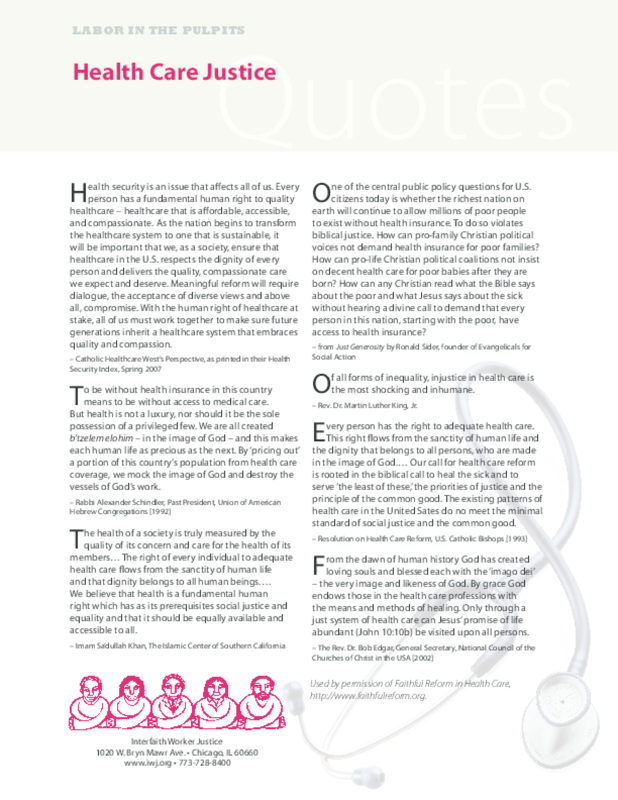 Quotes from multiple faiths demonstrating wide-ranging and common support for health justice. Copyright 2009 Interfaith Worker Justice. All rights reserved.